Lot 106 BR (WR) Enamel Station Sign. 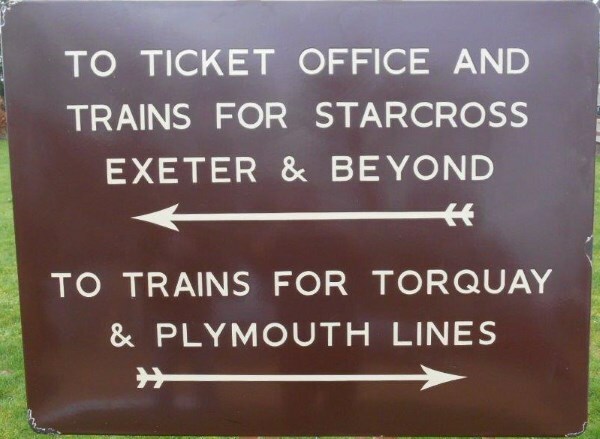 "TO TICKET OFFICE AND TRAINS FOR STARCROSS - EXETER & BEYOND - with left hand pointing arrow - TO TRAINS FOR TORQUAY & PLYMOUTH LINES - with right hand pointing arrow". Size 48" x 36". Good condition.